Photo: Jason Little Homestead is one of the best rooftop restaurants in Chicago. 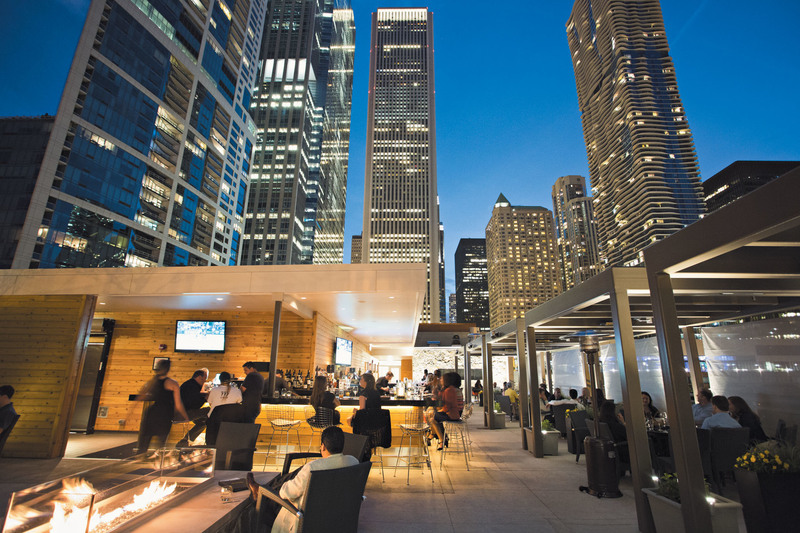 The best rooftop restaurants in Chicago offer a two-for-one special: Excellent food and killer views. 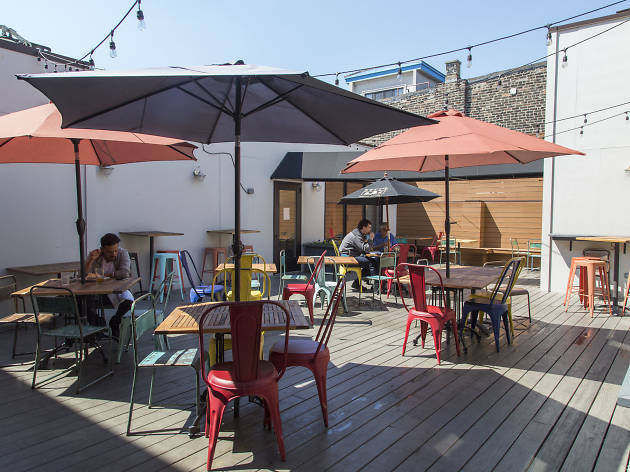 Come summertime, these sky-high kitchens fling open their doors to Chicagoans emerging from hibernation. 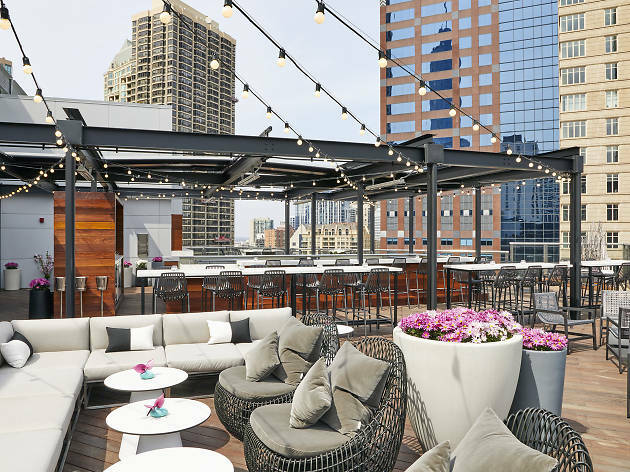 There's a rooftop restaurant in Chicago for just about every occasion, whether you want to dig into a pile of pancakes at the best brunch in Chicago or explore some of the finest Chicago hotels. 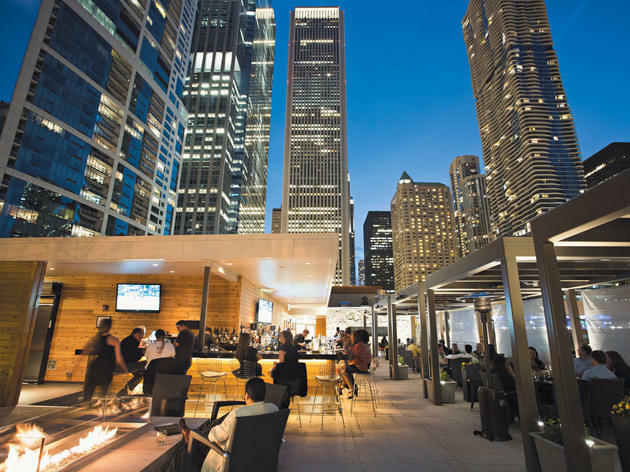 Soak up the sun and enjoy some of the city's finest cooking at the top rooftop restaurants in Chicago. Don't see your favorite spot here? 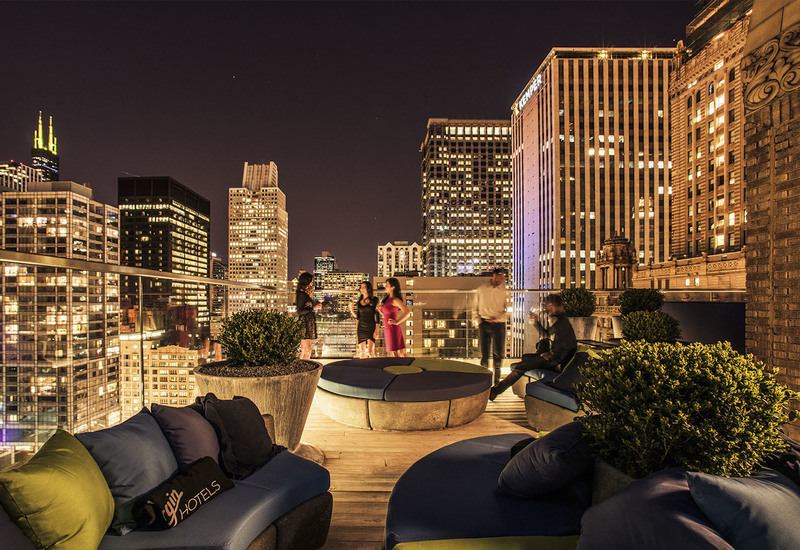 Check out our list of the best rooftop bars in Chicago. 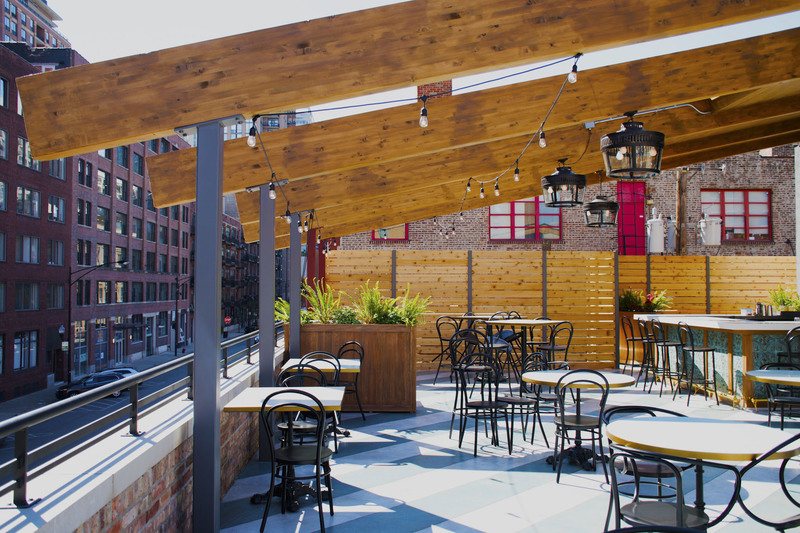 If you're hoping to get a table at this always-packed West Loop rooftop, stop what you're doing now and make a reservation. 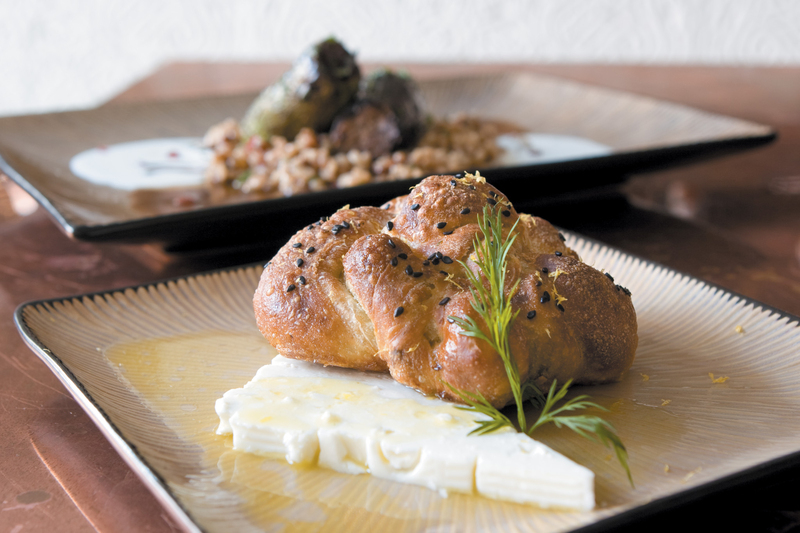 Chef CJ Jacobson delights diners with fresh Mediterranean-inspired bites such as hamachi crudo, house-made stracciatella and slow-braised leg of lamb wrapped in eggplant. 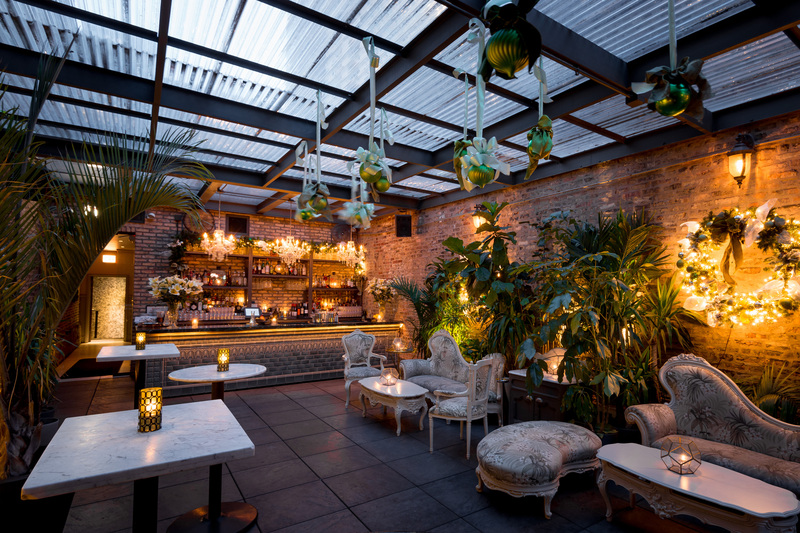 Lead mixologist Liz Pearce keeps the good times flowing with rooftop-friendly cocktails like the Aloe? It's Me, with mezcal, aloe, green juice, lime and jalapeño. 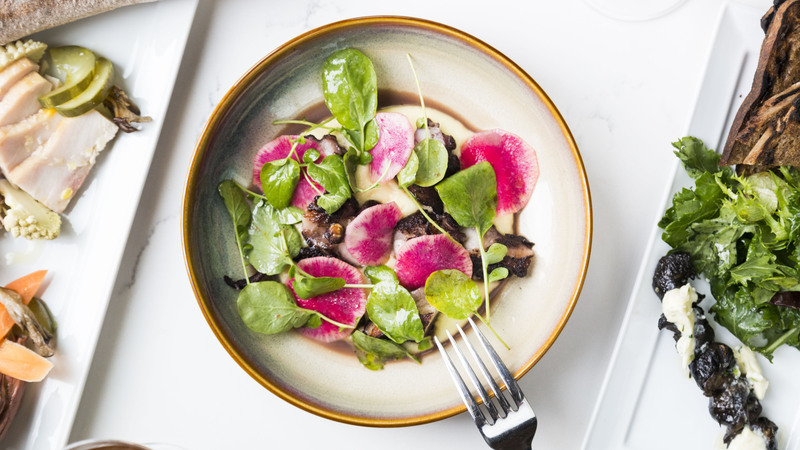 Given a gorgeous roof deck above their pizzeria, Roots, Greg Mohr and Scott Weiner opened what they’ve called “a literal farm-to-table restaurant.” The patio seats 80, and the menu draws ingredients from the organic rooftop garden. From the street, you may not realize that etta has a sizable second-floor rooftop deck that spans the length of the restaurant. 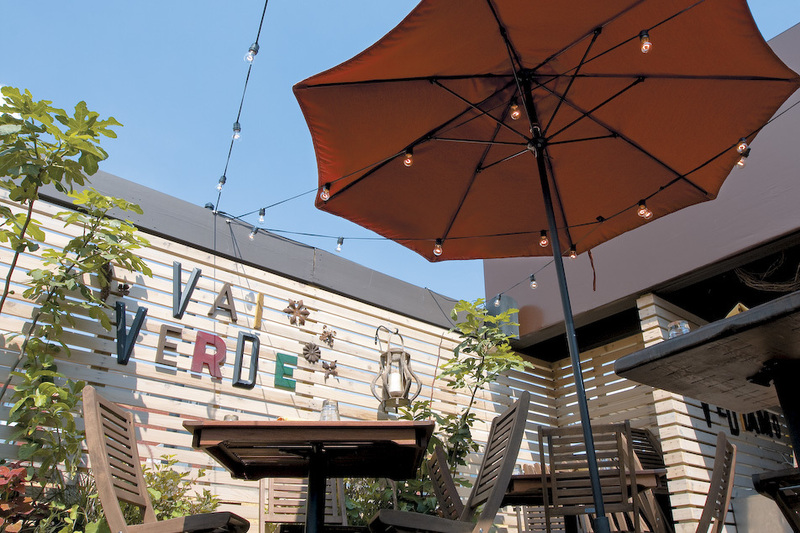 Head upstairs to enjoy dinner al fresco, with summer-ready menu options like fire-roasted whole branzino, wild mushroom pizza and warm banana bread pudding. 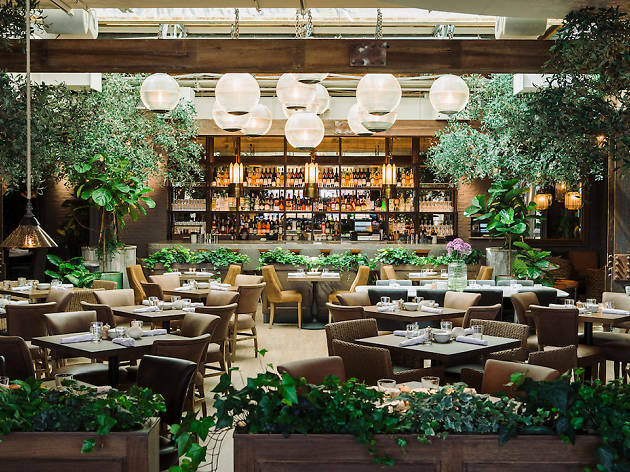 The cocktails are fun (you can order margaritas for everyone for $69), but the wine list is truly superb, with plenty of rosé for long summer nights. 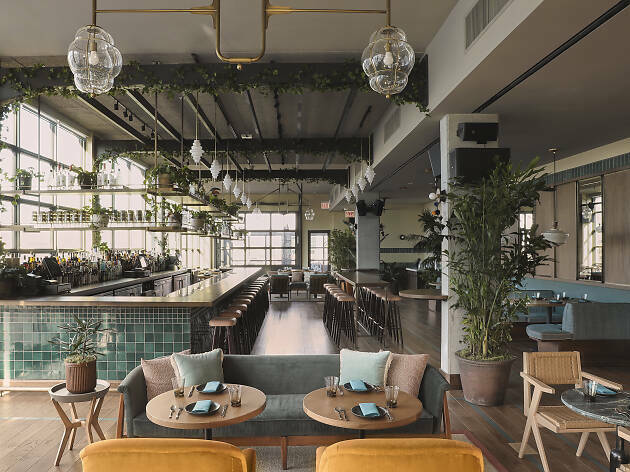 Expanding her culinary empire, chef Stephanie Izard debuts this shiny new rooftop restaurant inside the Hoxton, a hotel located in the heart of the West Loop. 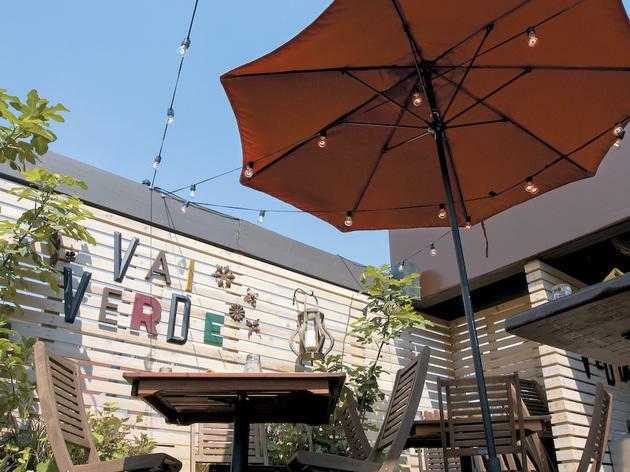 Here she specializes in light, bright Peruvian fare that's ideal for the sunny space. Dig into an order of shrimp ceviche by the pool, dip yuca fritas in olive-infused mayo and tuck into a plate of smoked goat empanadas. We have a feeling that Izard's beautiful restaurant will be a hot-ticket reservation this summer. 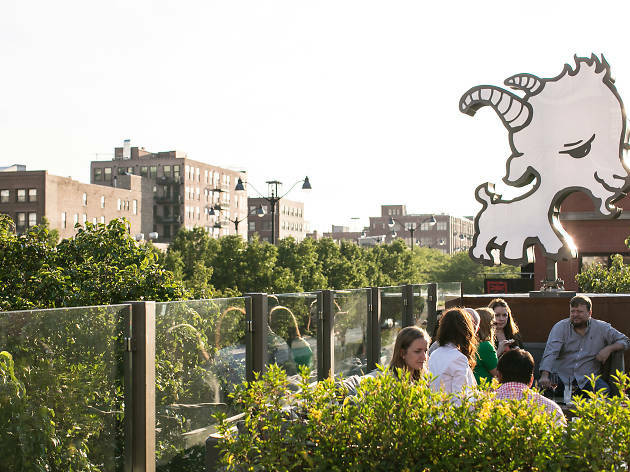 There's no sweeter place to grab a bite to eat and soak up the sun than atop Stephanie Izard's West Loop diner, Little Goat. 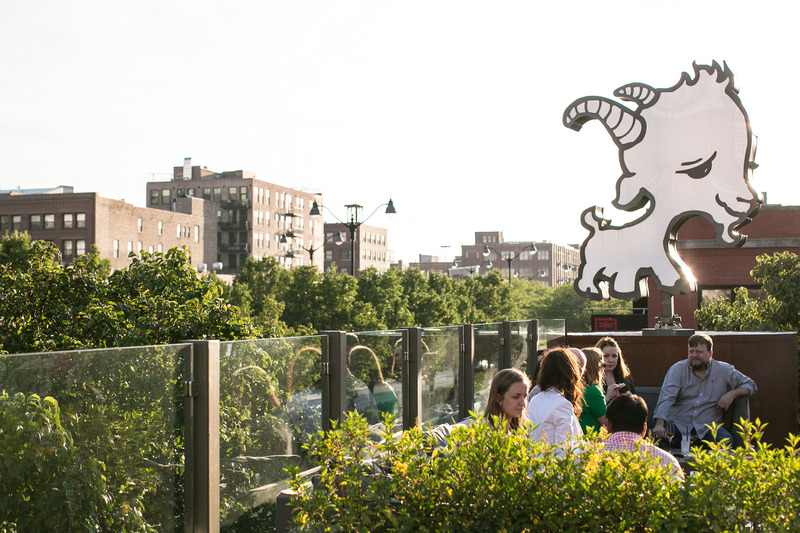 The second floor space is adorned with a glowing goat, so it's impossible to miss. If the deck isn't closed for a private event, head upstairs for burgers, snacks and cocktails. 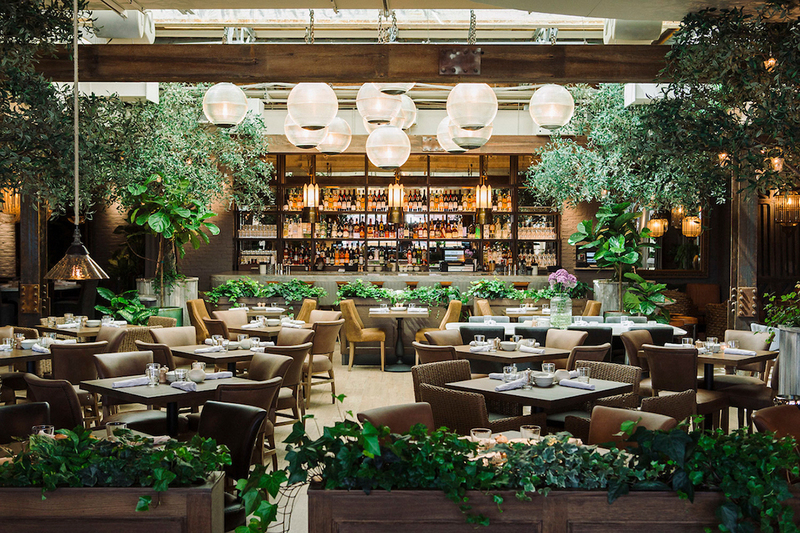 This summer, fan-favorite French newbie Le Sud will debut an "enchanted forest" on the building's rooftop. The 40-seat space will be equipped with herb-filled planters, fire pits and and a retractable roof, which allows for year-round dining. Sounds ideal for picking at charcuterie and sipping French champagne. 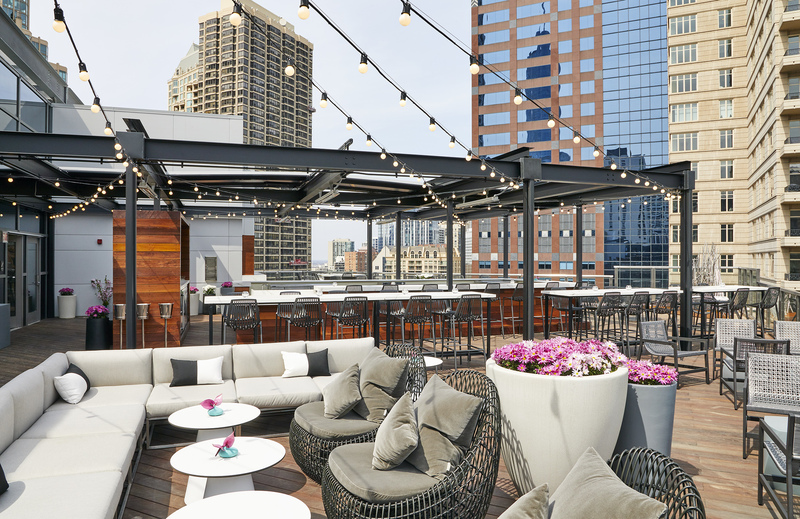 Perched atop Celeste in River North sits a romantic rooftop garden decked out in Victorian-style furniture and tons of greenery. Guests can opt to snack on small bites like tomato jam crostini and carrot hummus or go all in with the West Coast burger, with American cheese, lettuce, tomato and special sauce. 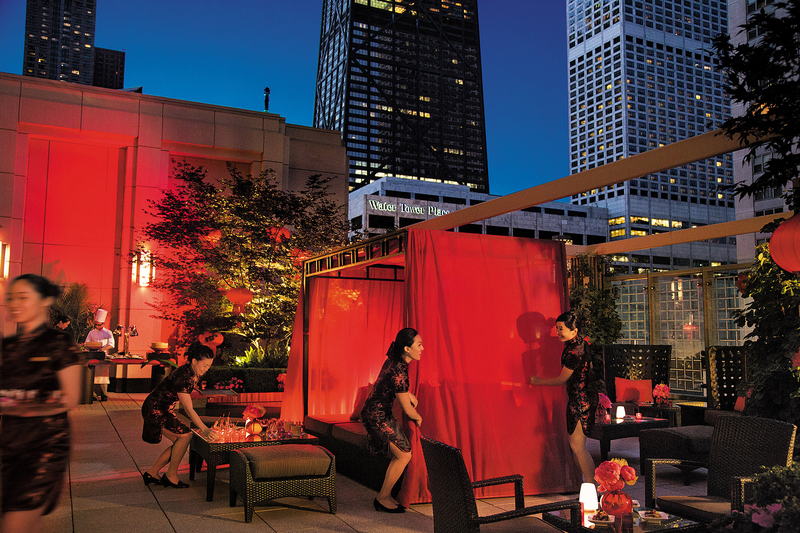 Noyane translates to "hidden roof" in Japanese, making it an apt name for this secret oasis on the 21st floor of the Conrad Chicago. 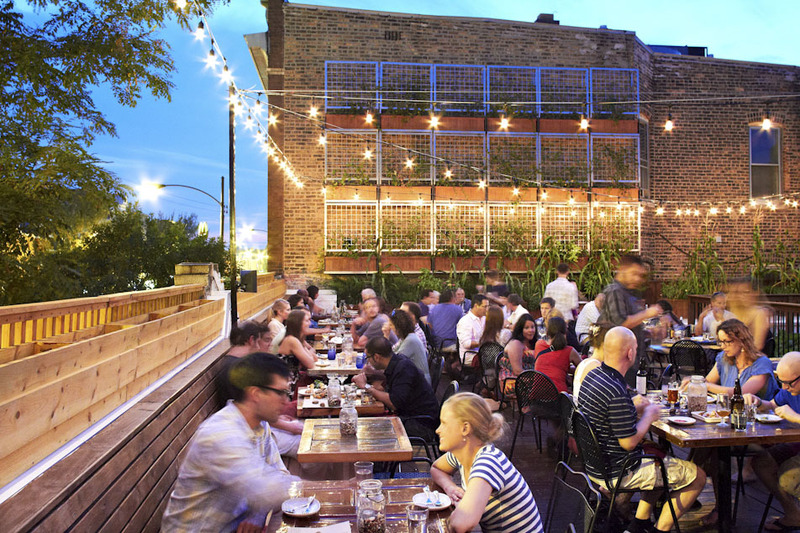 Situated just off Magnificent Mile, Noyane is nothing like its fist-pumping neighbors. 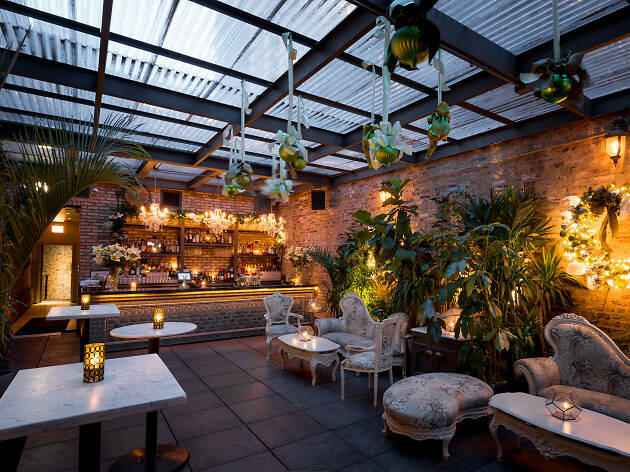 The menu here is filled with sophisticated Latin and Japanese fare and Instagrammable cocktails. 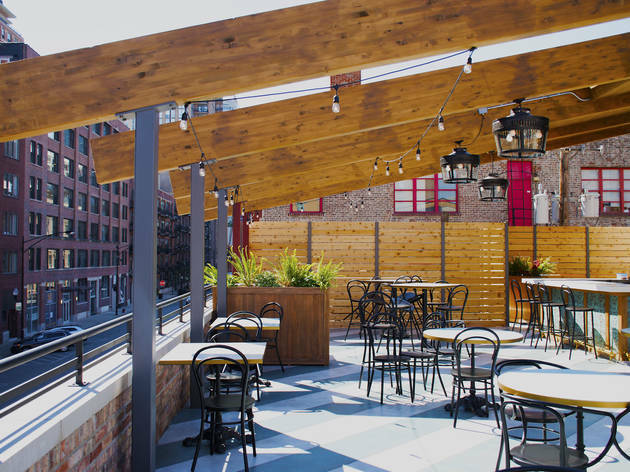 If you're itching to dine alfresco in Wicker Park, look no further than Taxim's 80-seat rooftop patio. 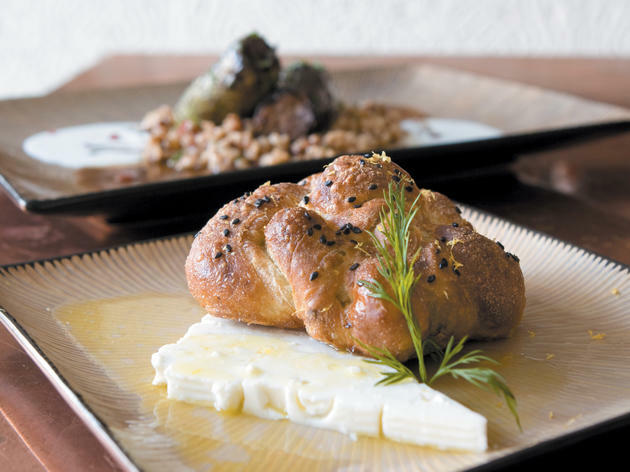 The no-frills space is home to some impressive Greek eats—think seafood soup, grape leaf-wrapped shrimp, duck gyro and octopus—plus an expert wine list. 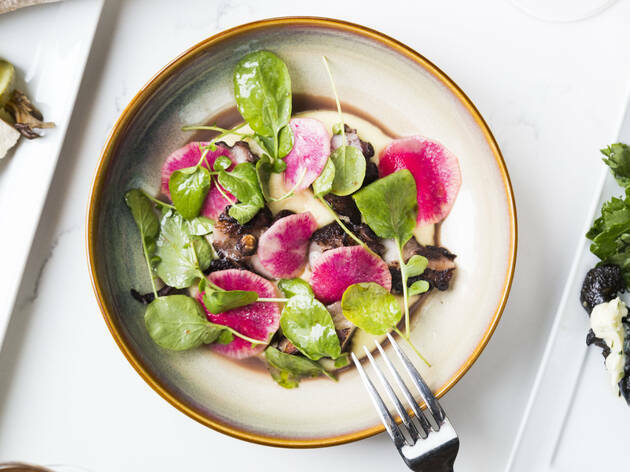 Seasonal fare and impeccable service are on deck at this River North spot that serves brunch, lunch and dinner. 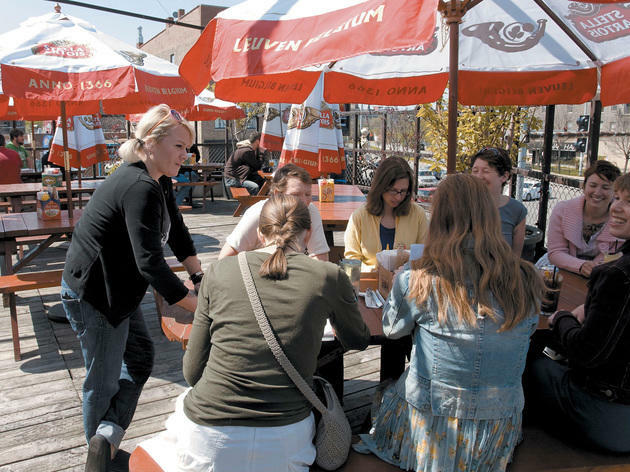 If the weather permits, ask for a seat on the huge rooftop patio, which is also equipped with a bar. A few of our favorite summer-approved treats include tuna poke with yuzu vinaigrette, avocado toast with goat cheese and sausage flatbread. When you begin brunch by showing your ID at the door, you know you’re in the right place for a Bloody Mary. Spicy and sweet, garnished with salami and completed with a beer back, it’s practically a meal in itself. Don’t let that distract you from the food, however. Breakfast tacos are a good way to spice up your egg intake. And the Spoke’s signature “fatboy” burgers are thick, juicy and perfectly tender and served with fantastic fries. 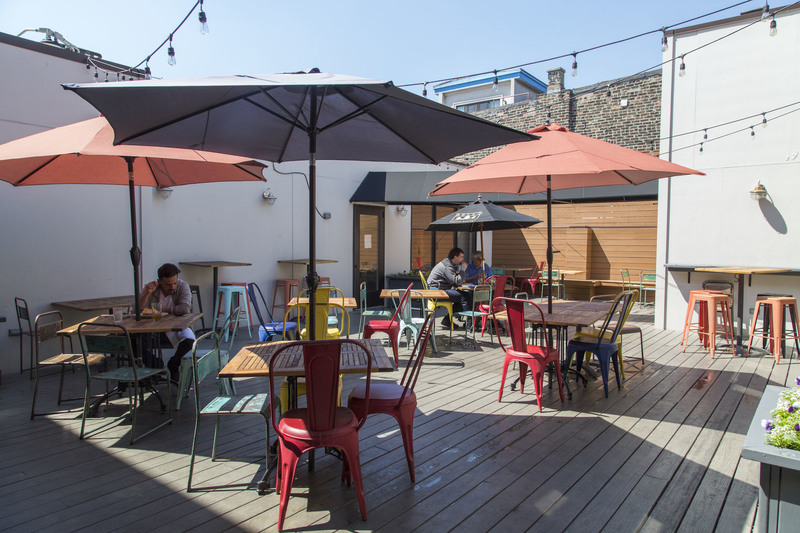 Even though it's located near one of Chicago's busiest intersections, Chop Shop's shielded rooftop deck is a serene place to grab a bite before heading out in Wicker Park. 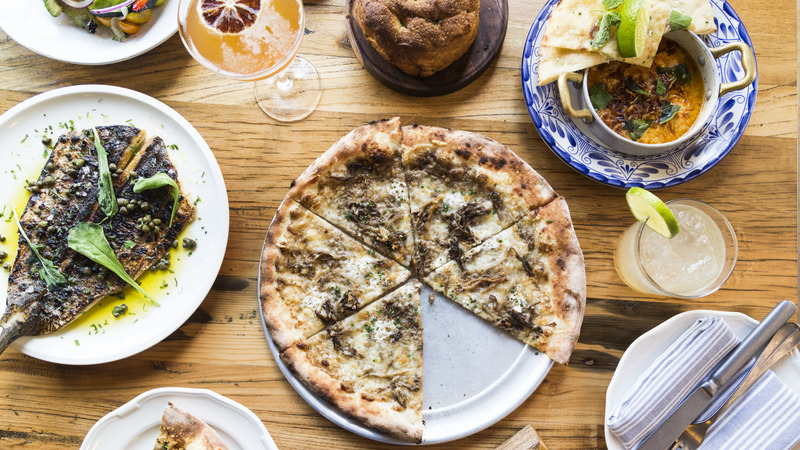 Go casual with a smattering of starters (don't skip the prosciutto-wrapped burrata) or fill up on house specials, like short rib pappardelle, a half-pound burger or the serrano-studded elotes. The restaurant seats hundreds of people, a good portion of them in a large, busy bar area and a sprawling (and surprisingly chic) roof deck. If you’re wondering whether III Forks makes a decent Manhattan, the answer is yes, and the same goes for a 16-ounce USDA Prime New York strip, which arrives a perfect medium-rare. 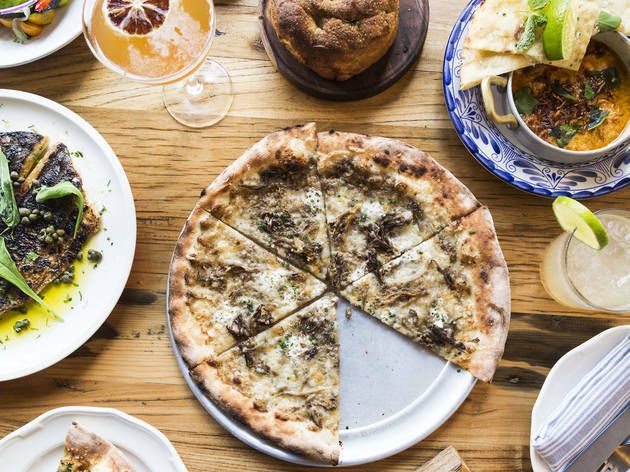 Scott Harris’s Taylor Street spot combines elements of the Purple Pig (a menu full of schmears and charcuterie) with the Italian sensibilities of his Francesca’s chain. There are a few fumbles on the menu, but mostly the dishes succeed due to their sheer decadence. 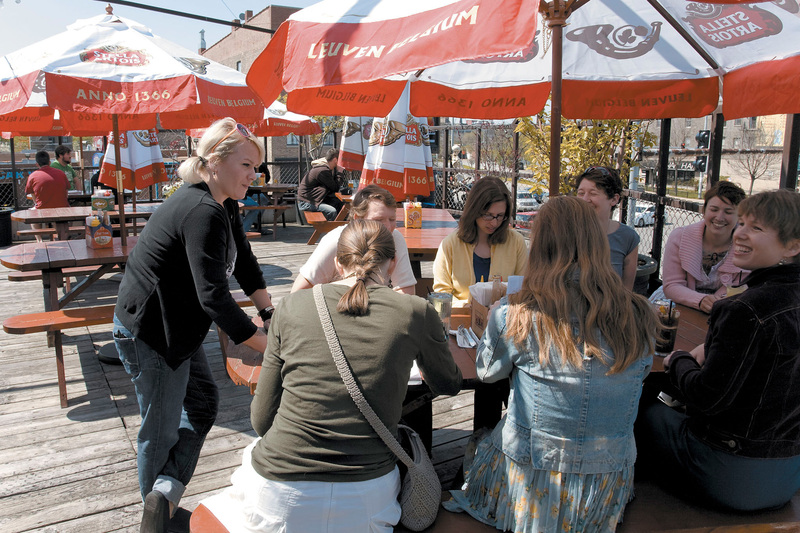 Harris's best move: turning the roof into a cozy, 45-seat patio. 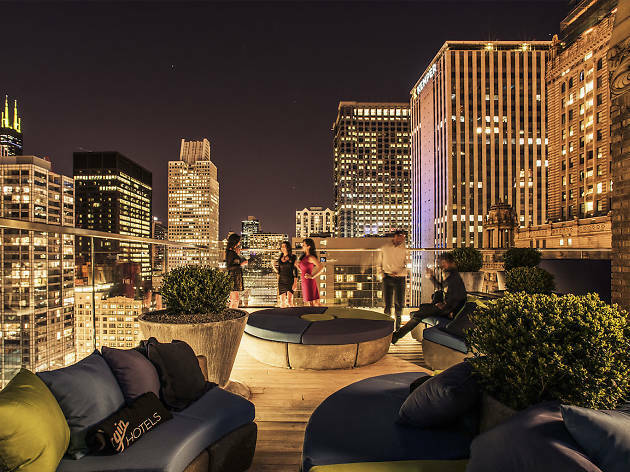 Chicago has no shortage of awesome things to do in the summer—by which we mean drinking on rooftops with a great view of the city. But even if all you can see is surrounding buildings, these spots are worth a visit. 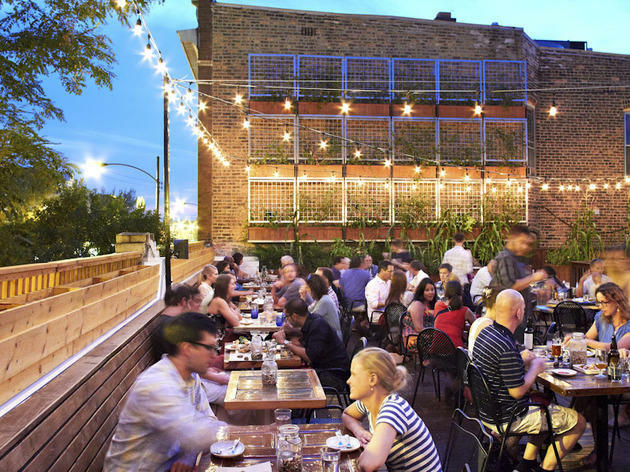 From a cocktail bar to beer bars, here are our picks for the best rooftop bars in Chicago.